"I want to get back on a football field," the former NFL quarterback said. Former quarterback Johnny Manziel said he hopes to return to the National Football League following what he calls his "huge downfall," and opened up about how he has turned his life around since the Cleveland Browns cut him for off-the-field controversy. "I had a sense of entitlement about what I had accomplished at the age," Manziel, a former college football phenom, said in an exclusive interview with ABC News' T.J. Holmes. "For a while I got so ingrained, caring only about what Johnny wanted, only caring what mattered to me, what made me happy," he added. "When I look back at it now, even when I thought I was doing what I wanted, I was miserable." The first freshman to ever win a Heisman Trophy, Manziel added that he saw how his lifestyle of partying and drinking was affecting those close to him. He said his mother "just broke down" when she confronted him, saying, "You don’t understand when people come up to us and say: 'What the hell is your son doing?'" 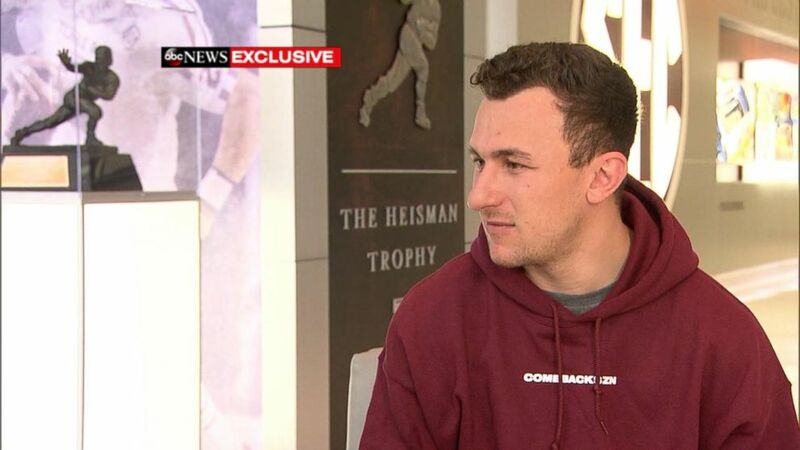 (ABC News) Former NFL quarterback Johnny Manziel opens up about his career and his hopeful comeback in an interview with ABC News' T.J. Holmes. "I saw the trickle-down effects of what I was doing in my life, that were meaningless and pointless and selfish," Manziel said. The Cleveland Browns drafted Manziel in the first round of the NFL draft in 2014, but off-the-field issues eventually led the team to cut him two years later. He said he has not played football ever since, telling ABC News, "I am watching all the other guys doing what I want to be doing, and I am sitting on a couch being a loser." Manziel admitted that there is no one to blame but himself for his run-ins with the law, including a domestic assault charge that was dismissed last November following his agreement to attend an anger management course. In 2015, Manziel entered a rehabilitation center, where he says he had had time to reflect, mature and get clean. He has since launched his own line of apparel and became engaged to his girlfriend, Bre Tiesi. Manziel also said he has been training and is hoping to return to playing football. (Scott Halleran/Getty Images, FILE) Johnny Manziel #2 of the Texas A&M Aggies celebrates a third quarter touchdown during the game against the Rice Owls at Kyle Field in this Aug. 31, 2013 file photo in College Station, Texas. "The goal of this comeback is to get back to the NFL, ultimately," he said. Manziel added he has stopped drinking, a vice he says he previously relied on as a way of "self-medicating" during his battle with depression. "I was self-medicating with alcohol. That’s what I thought would make me happy and get out of that depression," Manziel said. "When I would wake up the next day after a night like that, going on a trip like that, and you wake up the next day and that is all gone, that liquid courage, or that liquid ... sense of euphoria that is over you, is all gone." "You are left staring at the ceiling by yourself, and in that depression and back in that hole, that dark hole of sitting in a room by yourself, super depressed, thinking about all the mistakes you made in your life," he added. "What did that get me? Where did that get me except out of the NFL? Where did that get me? Disgraced?" Manziel said he has also started to make his mental health "a priority in my life," adding that he was diagnosed with bipolar disorder about a year ago. (Gregory Shamus/Getty Images) Johnny Manziel of the Cleveland Browns plays against the Pittsburgh Steelers at Heinz Field in this Nov. 15, 2015 file photo in Pittsburgh. "I am taking medication for bipolar, and I am working to try to make sure I don’t fall back into any type of depression, because I know where that leads me and I know how slippery a slope that is for me," he said. "At the end of the day, I can’t help that my wires are a little bit differently crossed than yours," he said. "I can’t help my mental makeup or the way that I was created." Manziel said those closest to him, including his parents and his fiancee, "would all agree that they see a drastic change" in his behavior. "Now the question you asked is, 'Is that sustainable?' and 'Would that be the case moving forward?'" 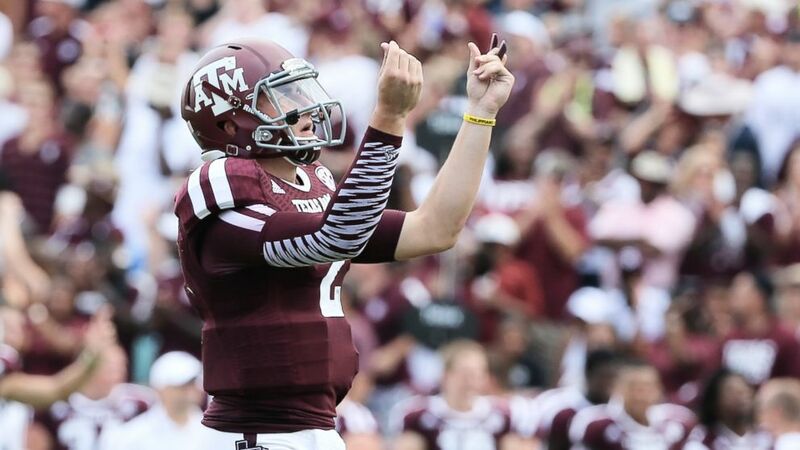 Manziel said. "I would like to sit here and say, yes, and I have a lot of confidence that would be the case." "But at the end of the day it's to be seen," he added. "I am still moving forward." 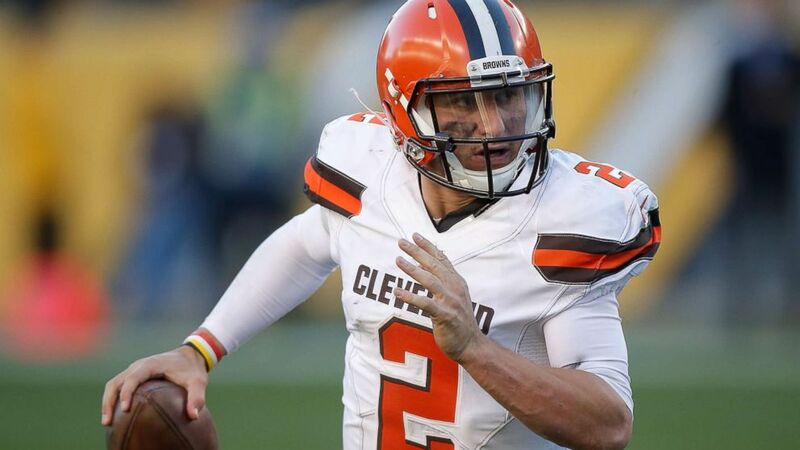 "I am coming back from a huge downfall," Manziel admitted. "I don’t know what kind of comeback it will be, but I know I want to get back on a football field, to what brought me so much joy in my life."